We live in an age of stark contradictions. The world enjoys technologies of unimaginable sophistication; yet has at least one billion people without enough to eat each day. The world economy is propelled to soaring new heights of productivity through ongoing technological and organizational advance; yet is relentlessly destroying the natural environment in the process. Countries achieve great progress in economic development as conventionally measured; yet along the way succumb to new crises of obesity, smoking, diabetes, depression, and other ills of modern life. These contradictions would not come as a shock to the greatest sages of humanity, including Aristotle and the Buddha. The sages taught humanity, time and again, that material gain alone will not fulfill our deepest needs. Material life must be harnessed to meet these human needs, most importantly to promote the end of suffering, social justice, and the attainment of happiness. The challenge is real for all parts of the world. As one key example, the world?s economic superpower, the United States, has achieved striking economic and technological progress over the past half century without gains in the self-reported happiness of the citizenry. Instead, uncertainties and anxieties are high, social and economic inequalities have widened considerably, social trust is in decline, and confidence in government is at an all-time low. Perhaps for these reasons, life satisfaction has remained nearly constant during decades of rising Gross National Product (GNP) per capita. the major driver of changes of the Earth?s physical systems, including the climate, the carbon cycle, the water cycle, the nitrogen cycle, and biodiversity. The Anthropocene will necessarily reshape our societies. If we continue mindlessly along the current economic trajectory, we risk undermining the Earth?s life support systems ? food supplies, clean water, and stable climate ? necessary for human health and even survival in some places. In years or decades, conditions of life may become dire in several fragile regions of the world. We are already experiencing that deterioration of life support systems in the drylands of the Horn of Africa and parts of Central Asia. On the other hand, if we act wisely, we can protect the Earth while raising quality of life broadly around the world. We can do this by adopting lifestyles and technologies that improve happiness (or life satisfaction) while reducing human damage to the environment. ?Sustainable Development? 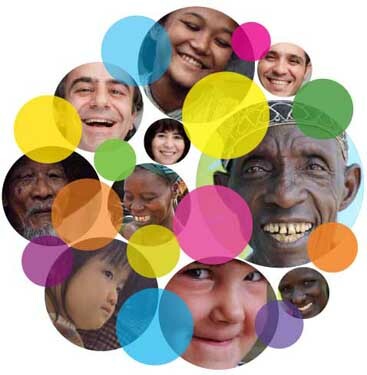 is the term given to the combination of human well-being, social inclusion, and environmental sustainability.We can say that the quest for happiness is intimately linked to the quest for sustainable development.